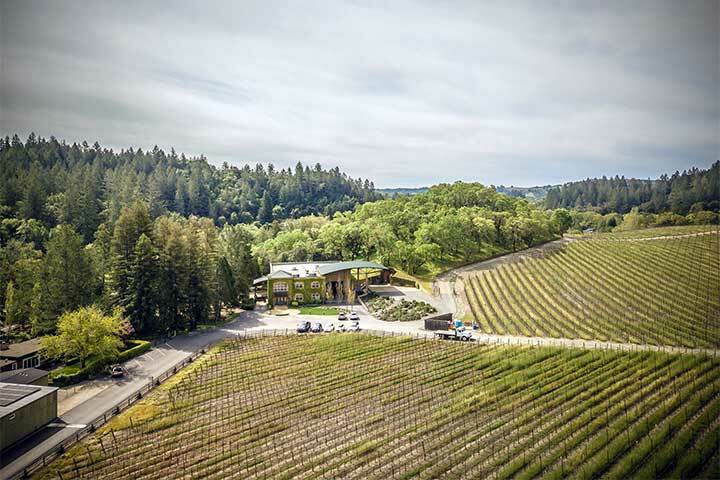 Sustainable farming techniques are critical to maintaining the integrity of our wines and the Estate, and a part of the family’s vision for Lancaster since the beginning. We employ permanent cover crops to eliminate invasive weeds, improve drainage, replenish soil nutrients and reduce erosion. These cover crops also provide a home to beneficial insects that move into grapevine canopies during the growing season to eliminate vine pests. Extensive woodlands grow on the Estate to encourage nesting of birds of prey which help keep the vineyards clear of rodents and other vine-damaging small animals. We are a proud member of the California Sustainable Winegrowing Alliance; both our vineyards and winery have been Certified Sustainable since 2014.